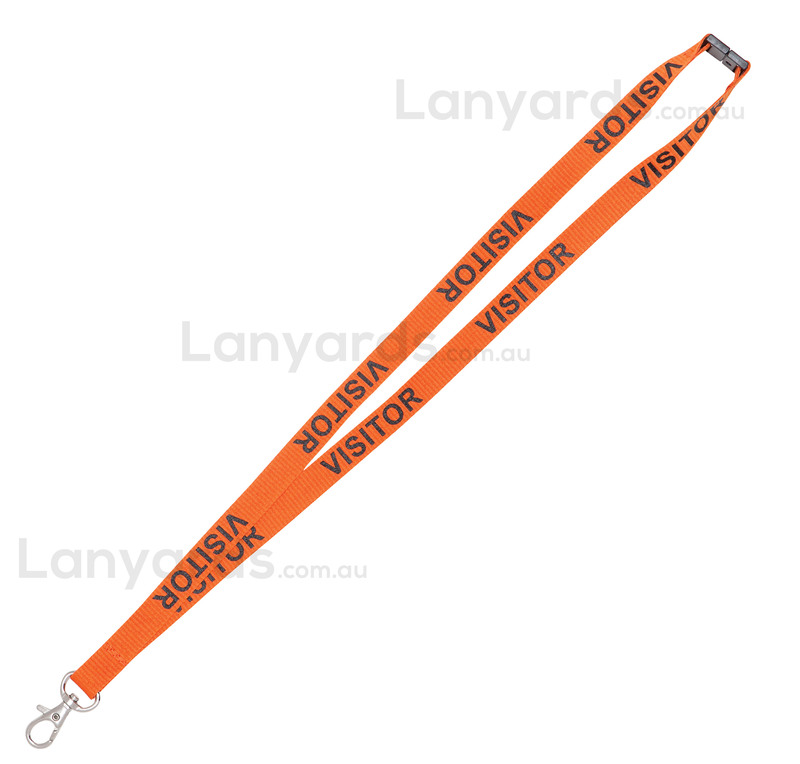 Visitor Lanyards are a great option for many companies when you just need a small order. The words VISITOR have been already printed onto these lanyards and they come with a trigger hook for easy attachment of any ID holder. The safety breakway at the back also conforms to OHS standards and we have these in stock for immediate shipment.